I’ve noticed that business owners tend to fall into two camps—first generation and later generation. Business families and their advisors who don’t take the time to understand the differing management styles, communication styles and expectations often run into trouble down the road. Starting a business is hard work. Many founders work for years—and against all odds—to create a business that succeeds. Ask any successful business owner who has been around for a decade or two—they’ve experienced countless ups and downs. Often the downs have put the owners on the brink of losing their business. But they never ever give up! To make it through the challenging times, entrepreneurs have to be very tough and resilient. They will tell you exactly what they think. They don’t pull punches and expect you to do the same. The good part about first-generation business owners is that you can say almost anything to them as long as you do so with respect. But you’d better be direct and avoid legalese, MBA-speak and fancy marketing terms. If you don’t, you probably won’t be taken seriously. Second and third generation owners tend to take a more nuanced view of the business. They’re more open to outside ideas than founders are. However, they often make the mistake of thinking that founders will take their advice and implement it without knowing how the advice fits in with the business’s long-term or even short-term goals. If you don’t spend time understanding what drives founders, there’s a good chance they’ll just ignore you or cut you off mid-sentence. Sure, many founders are gruff. But don’t walk on eggshells around them. To gain the trust of founders, you must get right to the point. If you’re able to do this, working with founders becomes much easier and more enjoyable. The drive, resiliency and thick skin that it takes to start and build a business is one of brutal honesty. If you’re not brutally honest with yourself, it’s too easy to find excuses for things not working out. In my experience, first-generation business owners aren’t only tough at work; they’re very tough at home. First-generation owners tend to be tough on their children. Tough love rather than unconditional love is more often their style. The children of business founders often feel they are under the thumb of their parents. This is especially true if children of founders decide to join their parents in the family business. But, this often leaves founders’ children feeling inadequate, with a strong need to prove themselves. When founders’ children finally get a chance to run the family business, they often have no patience for founders and other advisors telling them where they’re wrong. Instead, they expect their employees, customers, clients and advisors to tell them how wonderful they are and how brilliant their ideas are. A successful relationship with second-generation owners often means being a cheerleader instead of a true thinking partner. 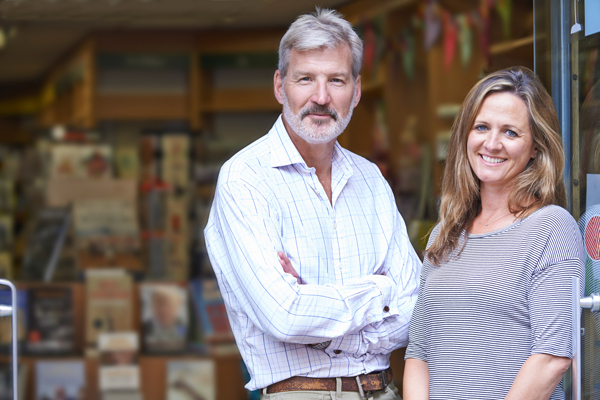 Although second-generation owners start their business careers with a huge advantage over where their parents started, they often struggle to maintain its success, much less take it to the next level. Without accepting honest feedback, it’s just too easy for second-generation owners to take the company in directions that hurt more than help. On the flip side, working with second-generation owners can be fun if they’re willing to be coached. You need to feed them ideas in the form of questions and let them adapt your ideas as your own if needed. Don’t force your ideas down their throats, or you’ll just get pushback. Well-educated second-generation owners may want to use advisors and consultants with prestigious academic degrees and career credentials—people that founders would never consider bringing in. On the surface, it may seem like second generation owners are injecting unnecessary complexity into the business, but it’s best to let NextGen figure that out on their own. As a founder, you can suggest some ways in which simpler is usually better, but don’t try to override the process. Being blunt with second and third generation owners generally won’t work. You must remember where they came from. It’s not necessarily coddling, but you have to be open to the possibility that there could be a better way of doing things. One final caveat—generalizations are often wrong. I’ve encountered more than a few (first-generation) founders who are open to new ideas, outside expertise and a more collaborative work environment. Likewise, I’ve worked with many founders’ children who are gruff, relentless and think only one ways of doing things—their way—is right. Be aware of generational predispositions and try to leverage the strengths of each generation’s work habits and management style. Your customers and clients will thank you, and family gatherings around the dinner table will be a lot less stressful. Next PostWhat’s Your Business Really Worth?